This friendship is an interesting (and stressful) one, where both women clearly despise each other because they want the same man (President Grant,) but they also reluctantly respect each other and have developed a complex bond. 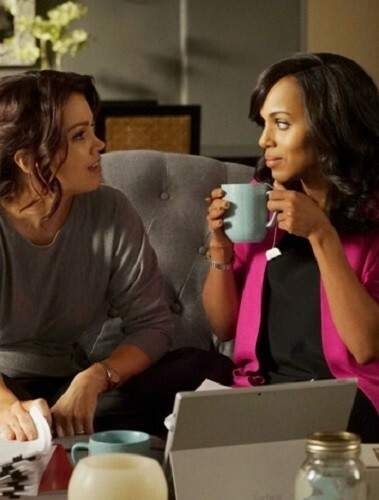 While both are usually resentful towards each other, Mellie trusted in Olivia's skills enough to ask her to help with her husband's campaign, and when Olivia found out that Mellie was assaulted in the past, she reacted with empathy and understanding. They hate each other, but have a budding friendship underneath it all.